Winner of the 2018 Bach Competition in Leipzig, pianist Rachel Naomi Kudo returns to South Florida for a special program. 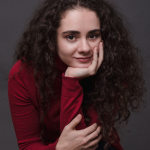 Direct from New York City, Aleksandra Kasman returns after her memorable performance last season. 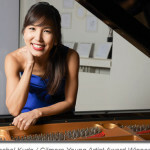 Just after her latest Steinway & Sons CD release, Yoonie Han performs work from the CD, Gershwin’s Rhapsody in Blue and more.